KELLY SUE DECONNICK (Avengers Assemble, Captain Marvel) & EMMA RÍOS (Dr. Strange, Osborn) reunite to bring you an all-new ongoing series that marries the magical realism of Sandman with the western brutality of Preacher. Death's daughter rides the wind on a horse made of smoke and her face bears the skull marks of her father. Her tale of retribution is as beautifully lush as it is unflinchingly savage. BEHOLD THE MODERN MONSTROSITY. X-Men Legacy writer SIMON SPURRIER and superstar artist RYAN KELLY present fiends, fragility, and firepower in an all-new series, mixing the hard-boiled militaria of Jarhead with the dark folklore of Pan's Labyrinth. 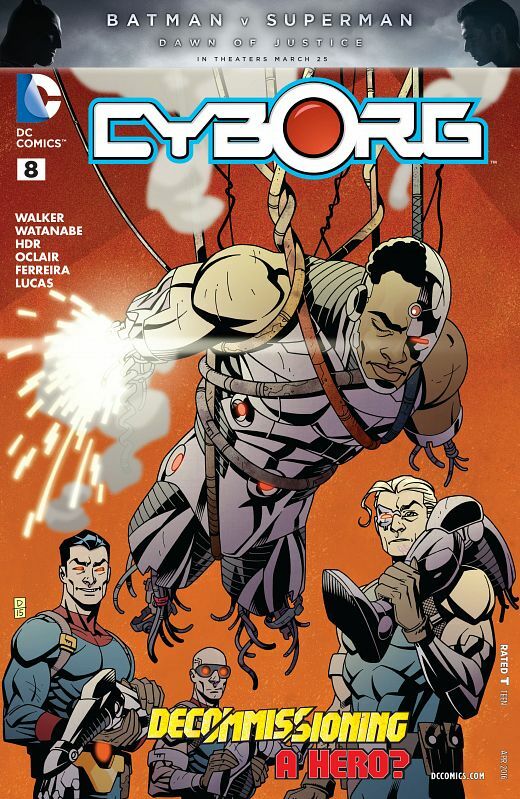 Includes an unprecedented use of multiple colorists (MATT WILSON, LEE LOUGHRIDGE, & NICK FILARDI) to define the story's threads, and an incredible variant cover by Eisner Award winner CAMERON STEWART. This is not the tale of a lesbian werewolf who goes to war. Except it kind of is. 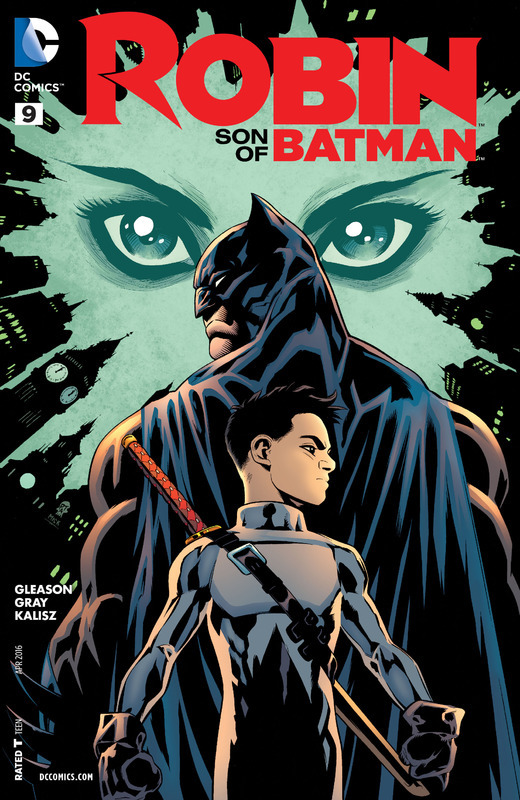 The son of a Bat and a Demon, Damian al Ghul has set out to forge his own destiny-and atone for the shameful Year of Blood! Will he be aided or hindered by the behemoth Goliath? And what mysterious legacy trails behind him? 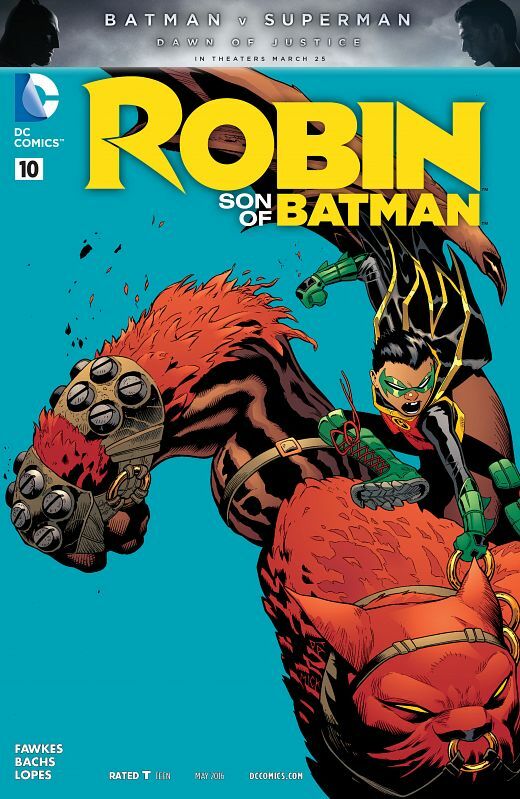 Join writer/artist Patrick Gleason as he chronicles the globe-hopping adventures of ROBIN: SON OF BATMAN! Through the plains of Hyrkania, a message sweeps through the scattered peoples of the nation. Bells ring, horns blow, voices shout – the King is dying! Red Sonja rides to save the King from his doom as the powers of Hyboria crowd around to strike when the kingdom is weakest. But a dread new power rises from within Hyrkania's own borders, bent on defending its homeland – no matter the cost, no matter what its people become. 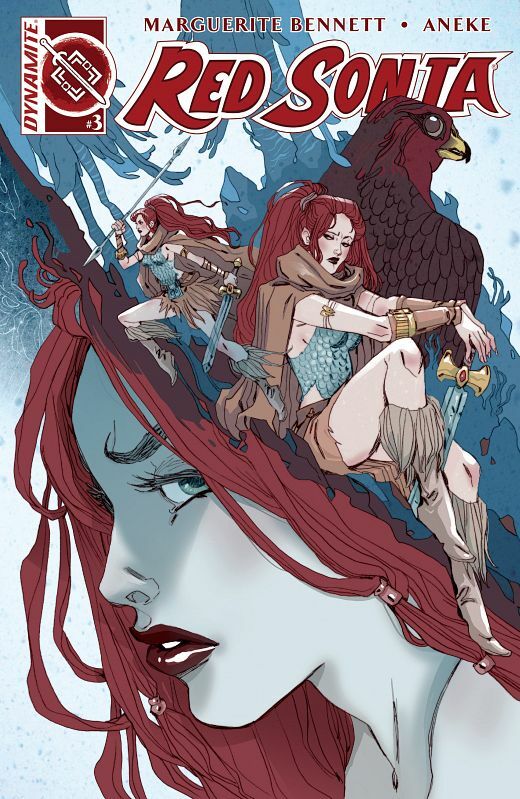 A defining chapter of the Red Sonja saga – dark, clever, vicious, and funny – as the She-Devil with a Sword must stop the rise of a brutal new regime… her own people! 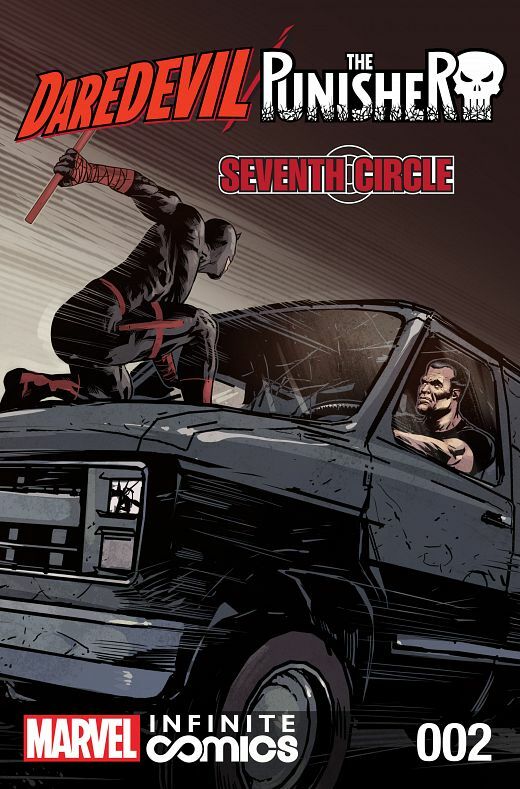 A simple change of venues for one of Matt Murdock's cases becomes more complicated when The Punisher attempts to send the defendant away...permanently! If Daredevil and Blindspot want to get this mobster his day in court, it will take every ounce of wit and wile they have. All Frank needs to get what he wants is a bullet. The race is on! 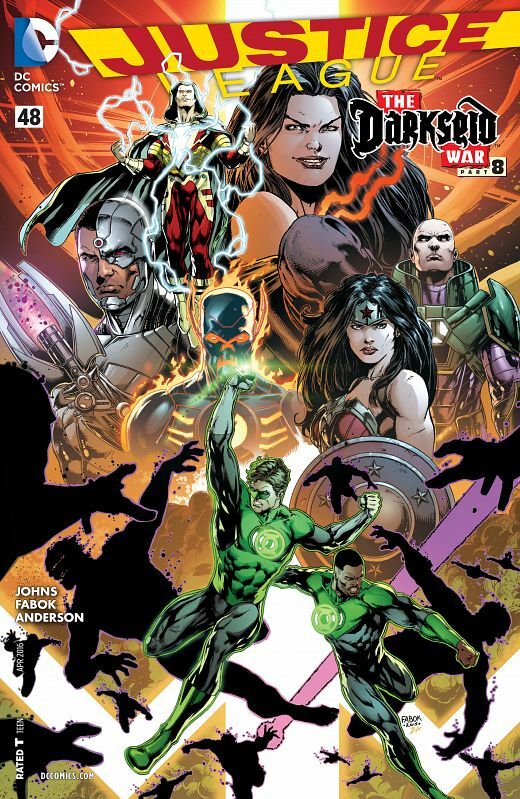 Over 200 independent and creator-owned comic characters for the largest, most ambitious, inter-company crossover ever! When villains attempt to create an inter-dimensional doorway for world conquest, they wind up confronting a plethora of heroes from across the muiltiverse to stop them. 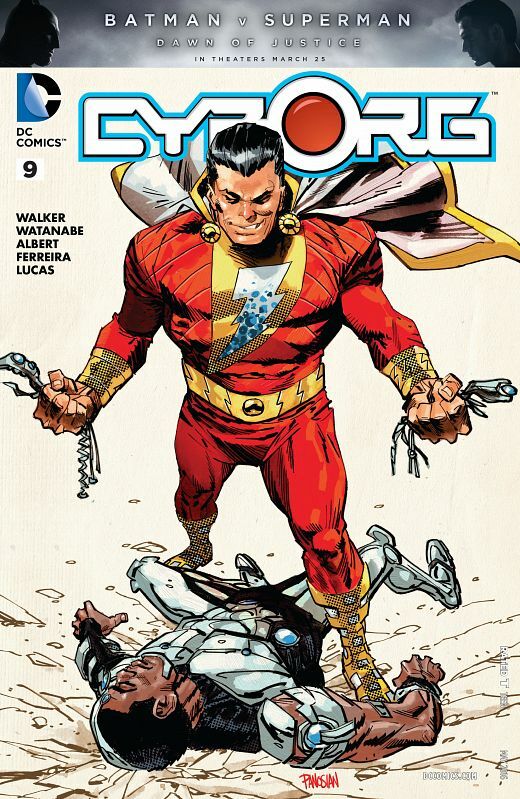 Indie characters include Mike Allred's (Fantastic 4) Madman, Faust, Shadowflame, Captain Canuck, Tick, Gumby, E-Man, Zen, Badger, Too Much Coffee Man, Scud, and many, many more! 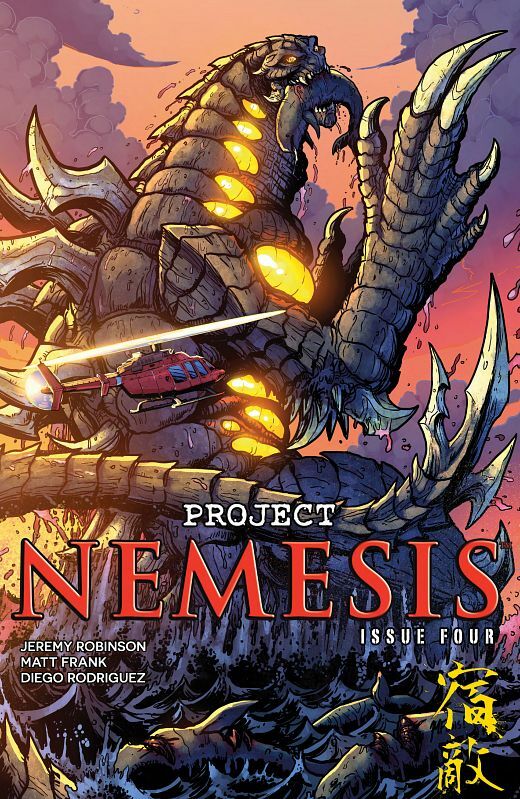 In the world of PROJECT NEMESIS, Japanese kaiju are discovered when a government experiment goes awry and gives rise to a hybrid creature called Nemesis -- after the Goddess of Vengeance. On a mission that began as a Bigfoot investigation, Jon Hudson of the FC-P, who considers his "paranormal investigator" position a joke; and Sheriff Ashley Collins, resident of small town Maine and well-versed in sasquatch tales and bear attacks; discover a secret military site that has been torn to shreds by something very large and lethal-clearly not a bear, or anything related to nature. A giant creature appears that is unlike anything they've ever encountered, and they barely escape with their lives. Bent on destruction, the kaiju eventually emerges from the forests of New England and grows to immeasurable heights, bringing down villages, then towns, and then cities. When Hudson and his crew investigate, they discover that the monster's origins hold inexplicable ties to a murdered Japanese girl named Maigo. Suddenly the "paranormal" portion of the FC-P doesn't seem like joke anymore -- and Nemesis is about 80 times more threatening than Bigfoot! Action, adventure, and so much fun! 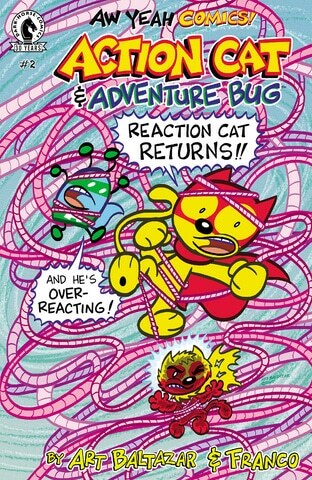 Fresh from the creative minds at Aw Yeah Comicsa brand-new series starring the valiant Action Cat and his trusty sidekick, Adventure Bug! As Evil Cat lurks behind the scenes, our heroes endeavor to bring comics to the good people of Beautiful Downtown Skokie. You better believe high jinks will ensue! From Eisner Award winners Art and Franco! Great fun for all ages! The world's greatest Champions are back! Almost everyone is is here: Flare is joined by her old friends, the Huntsman, Icestar, Icicle, and her sisteer Sparkplug. Other Champoins on hand include Nemesis Girl, Doctor Arcane, Giant, and the Black Enchantress. You'll get your first real look at the mysterious Nightwind. Even those not officially members of the League, none other than the Tigress and the Fabulous Flying Fox put in appearances! Every issue of the Heroic Spotlight anthology series features stories from the vast Heroic Multiverse, including adventures of Eternity Smith, Aphrodite, Dark Malice, Captain Thunder, Harpyra, and more! From DARBY POP! When the Tooth Fairy is brutally murdered, her Sisters desperately search for the Killer. What they find instead is a terrible truth regarding their own Parents, and the steps that have been taken to keep their kingdom hidden from Humankind. 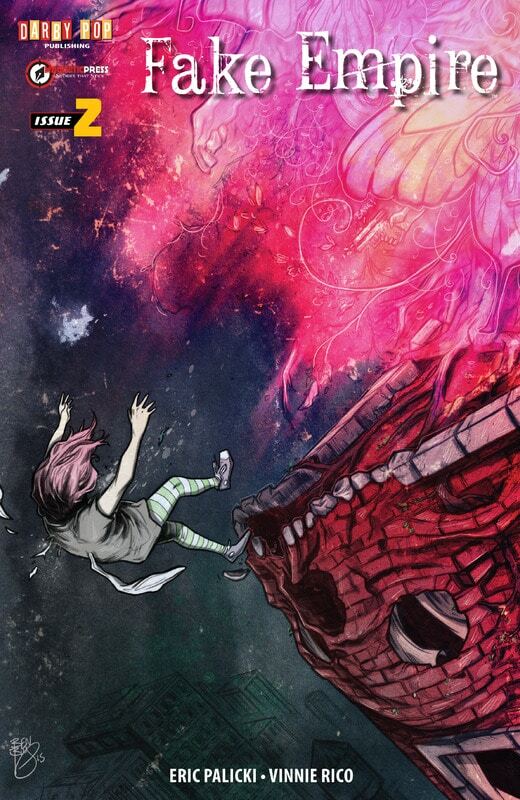 Adventures In Pulp is a webcomic anthology/indie publisher. Our stories are varied and sundry, encompassing a wide spectrum of genres in a semi-shared universe. Dinosaur men, psychotic super villains, little green men and armies of the undead - we have stories for every pulp comic enthusiast. The Contest begins! A mysterious being is abducting Earth's heroes! 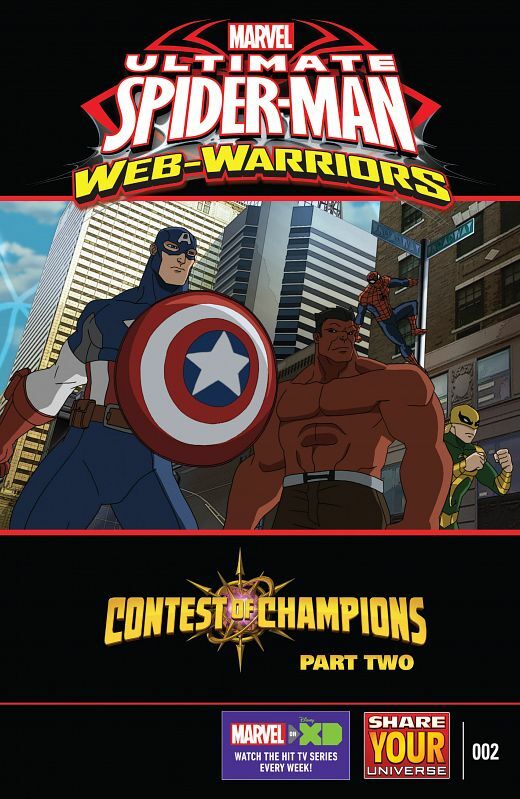 Now, Spider-Man and the Avengers must battle their greatest foes for the fate of the planet! Be here for the start of the next great super hero crossover! 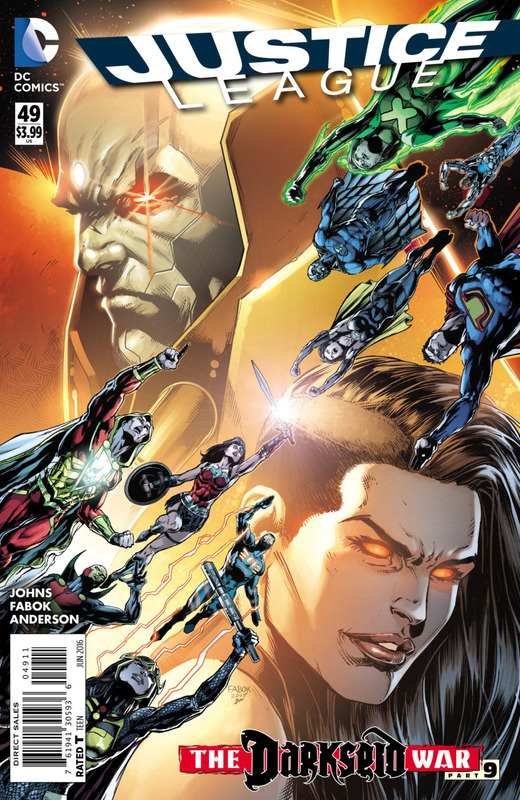 » Complete Series, June 22, 2016, New 52! The brand-new original official comic series to the critically acclaimed NBC crime drama THE BLACKLIST, starring James Spader. When the FBI is framed for the public killing of a political activist at an open-air rally, Reddington recognises the hallmarks of a dangerous, media-manipulating Blacklister, known as Leon Kiklinski, aka The Lobbyist. So begins the latest case for the FBI's covert counter-intelligence unit codenamed - The Post Office. But is this new Blacklist member working alone or is there a mysterious puppet master behind the scenes orchestrating a planned series of attacks against the FBI for his own nefarious purposes and if so, what is his connection to the Concierge of Crime, Raymond Red Reddington? Written by script coordinator Nicole Dawn Phillips (Judge Dredd, Slaine, ABC Warriors), The Blacklist Comic will chronicle the extended exploits of former government agent Raymond 'Red' Reddington, taking us back to the very origins of the series and revealing secrets about Red's past and how he formed relationships with some of the key characters from the show. Experience the deadly exploits of two of the stars of 2016's Suicide Squad in this extra-sized, 6-issue miniseries!